RS-485 interface is a widely used high-speed and noise-proof industrial serial interface for data transfer. 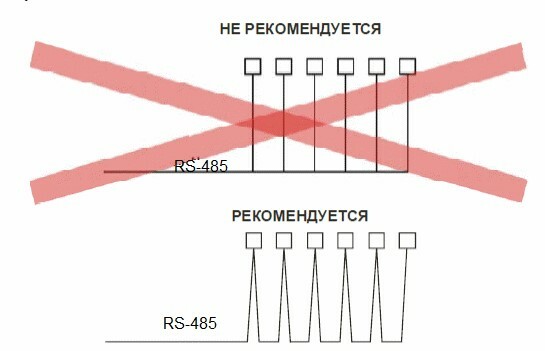 Almost all the modern computers in industrial version, most digital sensors and actuators, programmable logic controllers together with the traditional RS-232 interface utilize a certain implementation of RS-485 interface. A twisted-pair with ≈120 Ohm impedance is used as communication line. Bus topology must be as compact as possible for bus structure so that to minimize the reflections.